The brilliant artwork in electroformed silver finish demands style. The distinctive silver horse in a standing position with two raised limbs and murano glass decor is an apt piece for your home and office. The brilliant artwork in electroformed silver finish demands style. 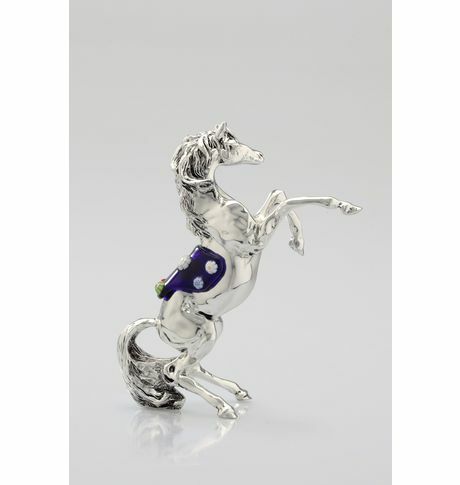 The distinctive silver horse in a standing position with two raised limbs and murano glass decor is an apt piece for your home and office. Cancellation and Return Policy: • Exchange allowed post booking • No order cancellation or Refund transaction allowed at the store.